Today was a special day. Special because a difference was made in a child’s life. Teachers @georgesvanier36 noticed that a student in Grade 4 was struggling with his learning and attention. It was clear he was having trouble seeing and that he needed glasses. A few weeks ago we took him for an eye examination and our suspicions were confirmed. 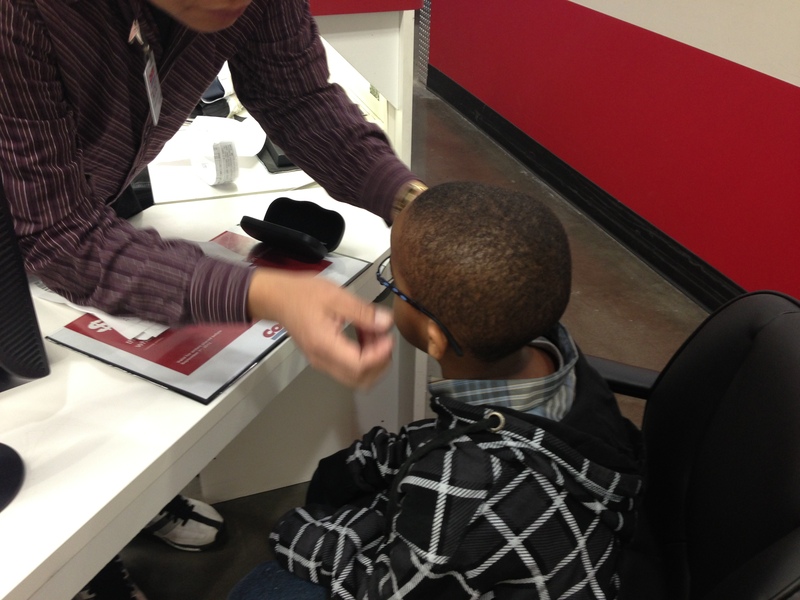 Today we went back and picked up his glasses. Once we arrived back at the school, we went into the office and I asked him to try on and show off the glasses he had picked out for himself. He not only looked great, but he could see clearly. As we walked the hallway to his classroom, the student walked slowly, quietly, thoughtfully, looking at the walls and down the long corridor. Then it struck me – he was literally seeing some of these things for the first time! More importantly, it was a moment of wonder and awe not only for him, but for me as well as I watched him marvel at everything around him.